In Yacapaca, a course is basically a way to collate quizzes into a logical structure. It enables you to provide teachers’ notes and downloadable files such as lesson plans or worksheets. 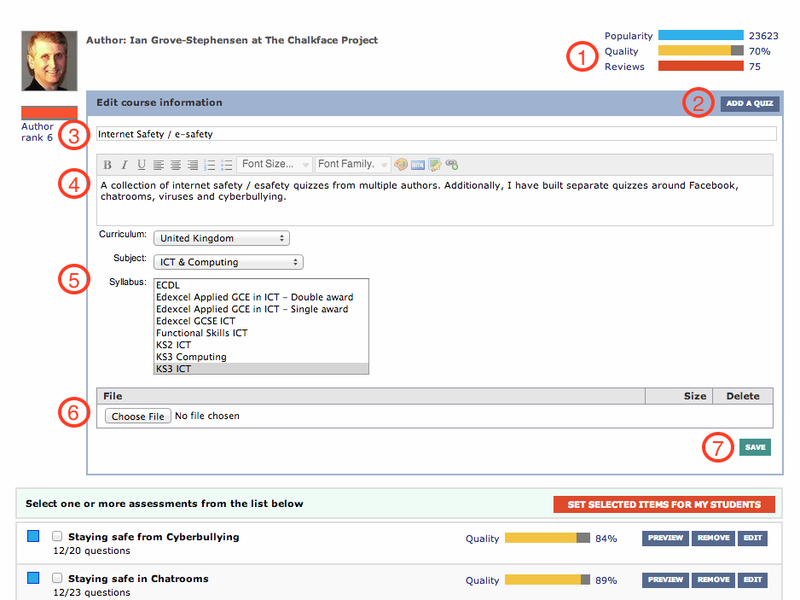 A course also has its own markbook, enabling teachers to see results grouped separately from other assignments should they wish to. What it’s not: a Yacapaca “course” is a completely different concept from something you would also find called a “course” in Moodle. Can’t really blame them for using the same name, but it hasn’t half caused a lot of confusion. Popularity: how many completed quiz runs in the last 12 months. As an author, you gain a credit for every use by a student outside your school. Build a few popular courses, and other schools will effectively be paying your subscription. Quality: this is the important one! The quality algorithm combines multiple metrics to try to guide users as to which materials should be trusted, and they do seem to pay attention. It is heartening to note that authors who have completed the Yacapaca authoring CPD tend to score higher on quality than those who have not. When you initially create a course, it’s just an empty container. Click here to find and add quizzes. You can add quizzes from any author, but you don’t create quizzes at this point. Many quizzes belong to multiple courses, collated by different authors for a variety of purposes. Even if you are creating a course for your own internal use it is extremely bad form to use an obscure title. 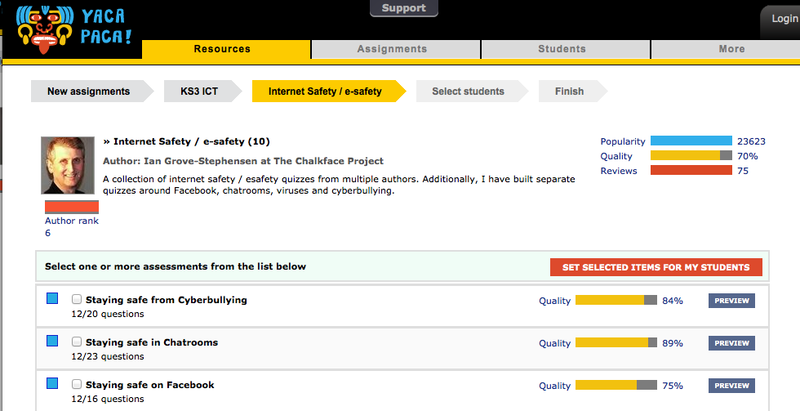 All courses are visible to all teachers, and they should do what it says on the tin. There are 150 courses on Spreadsheets already. What is unique about yours? Explain your intentions on level, sequence, textbook(s) referenced and teaching style assumed. Fail to set these and your course is near-invisible to other users. You will also miss out on various analytics of your student results. If we do not already cover your syllabus, write to Yacapaca Support and we’ll show you how to get it added. Lesson plans, worksheets, conversion charts, activity ideas, etc. These can be downloaded by any teacher, but they are not accessible to the students. Do check you hold the copyright (or it’s waived) before uploading. Assuming you already have author privileges, go to More -> My Courses -> Compile a New Course. You will be walked through the process from there. If you want to build a course from your own quizzes, create these first via the Quiz Builder. This entry was posted in Authoring, Yacapaca and tagged author, authoring, authoring-CPD, course, course collation. Bookmark the permalink.